Evolution Bi-folding doors offer impressive opening apertures that unite internal and external spaces, creating unique living and social areas. 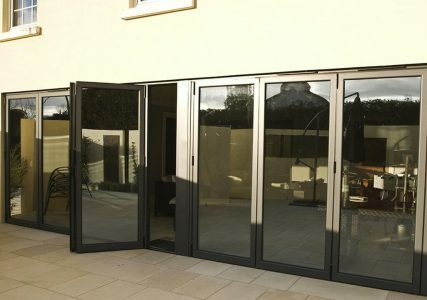 Evolution folding doors open up an entire wall as part of your home, conservatory or orangery. Evolution profiles incorporate a polyamide thermal break that enhances the thermal performance of the door and improves the overall U-Value. This ensures your home is kept nice and warm, whilst letting you enjoy the best of the outdoor view.